When Christine Armstrong became a mother, it never occurred to her that she would want to stop work or even work part-time. But the truth is, combining work and small kids is hard. From the broken breast pumps on business trips, to hiding chickenpox from the nursery, to the heart... read full description below. When Christine Armstrong became a mother, it never occurred to her that she would want to stop work or even work part-time. But the truth is, combining work and small kids is hard. From the broken breast pumps on business trips, to hiding chickenpox from the nursery, to the heartbreak when you come home and realise your baby smells of the childminder. When Christine Armstrong tried it, she found herself desolate with misery. Determined to make it work, she looked for answers by interviewing other working mums and found that she wasn't alone. These are the stories of the women who shared everything (and we mean, everything) and what they want you to know. The Mother of All Jobs ignores the glossy lives presented on social media and in magazines to show that, while it's not always pretty, working mothers can thrive if they have the knowledge others learnt the hard way. 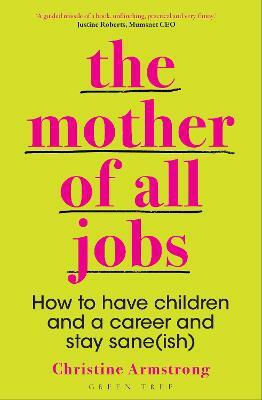 As practical as What to Expect When You`re Expecting and as human as Bridget Jones' Diary, this book is grounded in real stories that every working parent can relate to, cringe at and learn from.